There is a category of task which I have imperially dubbed “household development.” These tasks include all things related to home improvement and organization, and they are a category of tasks which are, at least for me, never ending. And because there always seems to be something new to do, I’m on board with using any tool I can to simplify my role as chief household development officer, a title I share with anyone who finds themselves regularly in charge of home improvement projects, decorating, or organization. Here are some fun and fancy tech tools to help keep operations running smoothly for my fellow CHDOs! Bonus; Ever have a picture for your home that you really want to be the centerpiece of the room, but aren’t exactly sure which colors to pull out as your room’s palate? This is your solution. You’re welcome. 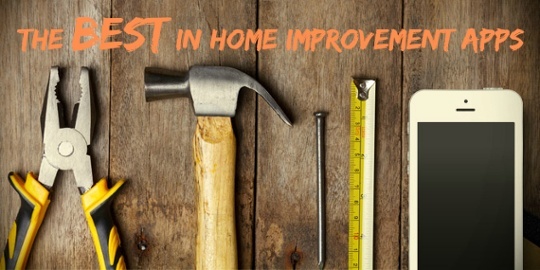 Do you have Home Improvement Apps that you love? Share with us in the comments below!